More people around the world than ever before are studying and learning English because it has become the international language of education and business. In Sri Lanka the knowledge of English Language Communication Skills among persons with disabilities are very low. Therefore, it is very difficult to place persons with disabilities in employment in the private sector. Our aim is to promote learning and support education and professional development for people with diverse disabilities. We work hard to help learners pursue their dreams of higher education or getting a good job in English-speaking environments. 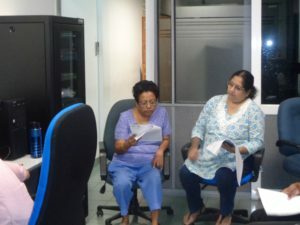 The Employers’ Federation of Ceylon, Specialised Training & Disability Resource Centre started a course of study in English Language Communication Skills for 15 persons with diverse (vision impaired, low vision, hearing impaired, hard of hearing, speech difficulties and persons with physical disabilities) disabilities. The trainings will be conducted by a team from the British Welfare Group, Ms. Manique Gunaratne and Ms. Ayasana Gunasekera. 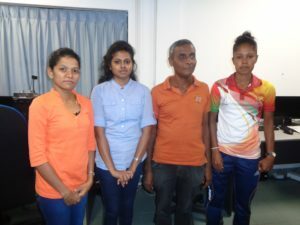 The trainees will be trained in conversational ability utilizing the four skills — listening, speaking, reading and writing according to an international syllabus.